By Compucats. 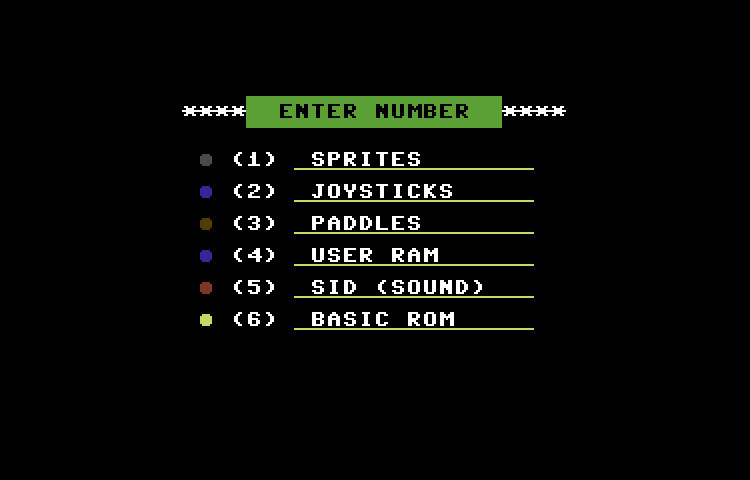 This fully BASIC program can test the following: sprites, joysticks, paddles, user RAM, SID amd the BASIC ROM. 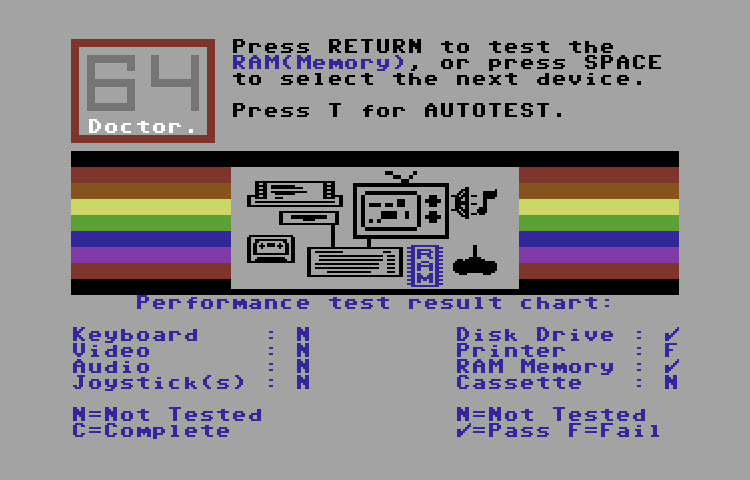 This program will test the RAM in a Commodore 1750 / 1764 RAM Expansion Unit. Mouse Test 2 by Marco Baye - Released in June 16, 2016. 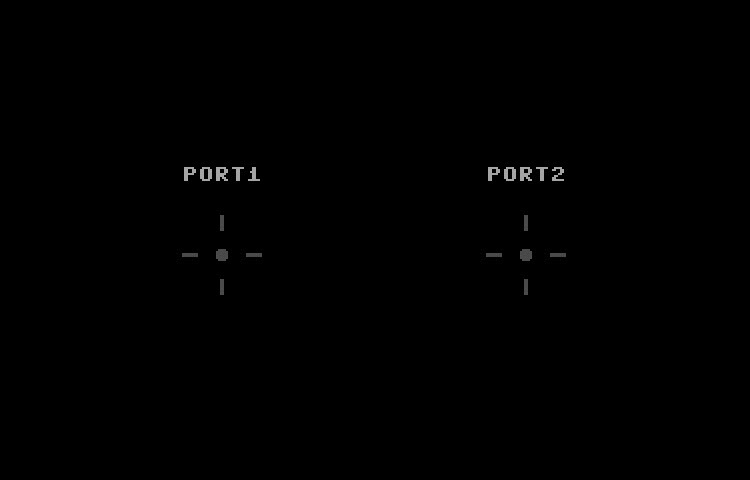 This is really a neat diagnostic utility that can aid you in figuring out what type of mouse you have connected to your Commodore 64. 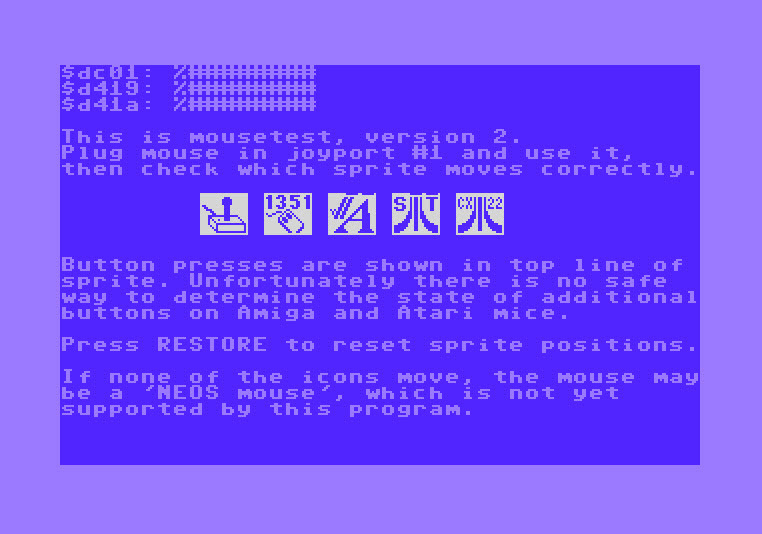 When you plug in a mouse it recognizes, the program will move the appropriate sprite on the screen letting you know what you have. Included in the archive is the full assembler (ACME) source code. 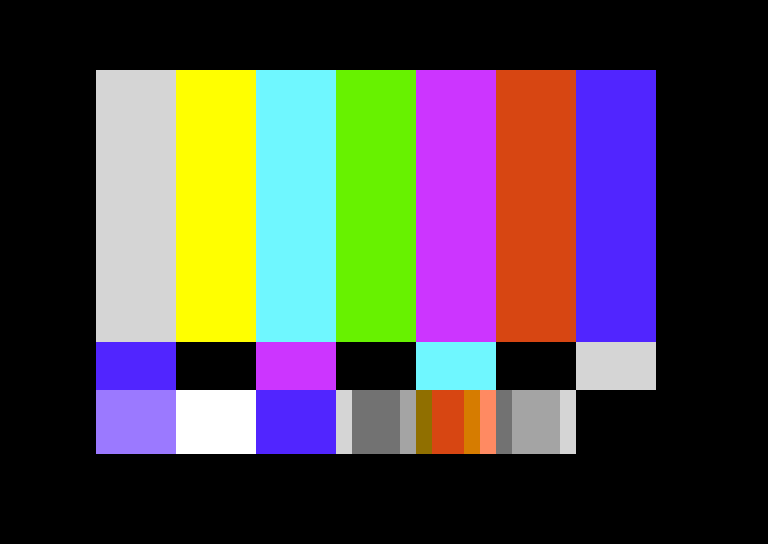 i wrote this small basic program to approximate the display of smpte color bars, using reversed spaces only, and the complete palette of the 64. only superman can understand what I just said. "send one million dollars." spacebar toggles a message which can easily be customized by editing string array. if the message seems weird, it was inspired by the max headroom post. 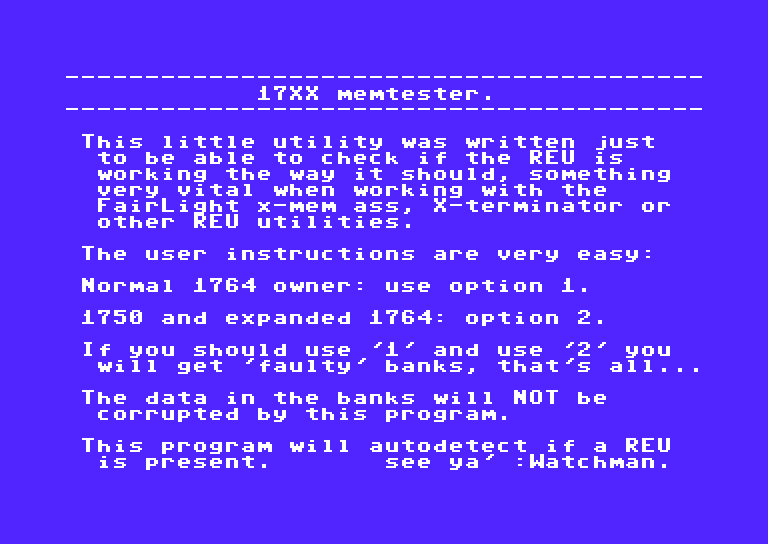 anyway, feel free to mess with it, I just wanted to try to make a tiny little colorful screen. I would be interested if people choose to make it more interesting, compact, or have more screens. Update to a program I wrote and posted here previously. 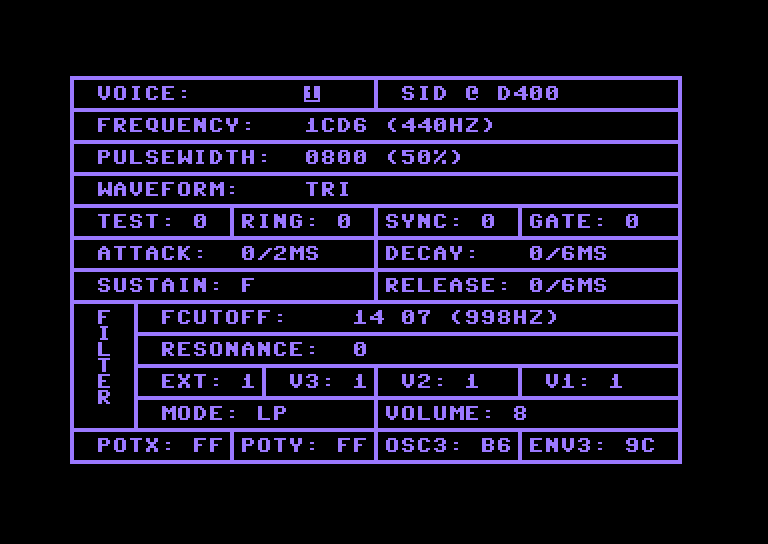 It shows a SMPTE color screen used in broadcasting. Now there is an Edit screen to allow easy modification and allow you to say anything you want with this format. and if you have a ds12c887 rtc, or turn it on in vice, and it is set to D500, this program will read the clock on start. (found this in the vice codebase) also the ability to set the time manually if the rtc is not present or you want to depict a different time. two days ago I published a color choosing program. I integrated that with the smpte program for selecting border and background colors. Added the ability to toggle the color bars themselves. other small edits and improvements. perhaps more to come. enjoy the fruit of my boredom. 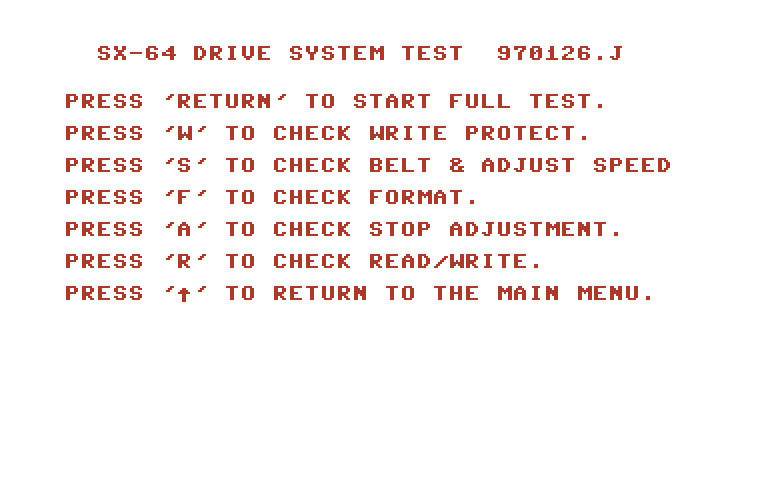 This is a test program for the SX-64 to check the floppy drive system.